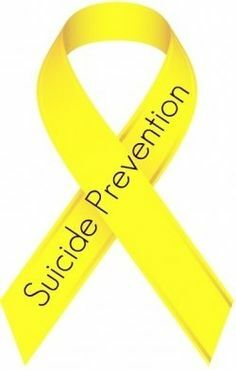 September is Disaster Preparedness Month, Food Safety Month, Guide Dog Month, all important issues to be discussed, but it is also Suicide Prevention Month. While this isn’t the most exciting thing to talk about, it is incredibly important that it is talked about. Suicide has touched many in some way. Elderly suicide is a serious problem in the United States. According to the American Foundation for Suicide Prevention, completed suicides for those 65 and over make up nearly 16% of all suicides while individuals 65 and over make up only just over 12% of the population. There are many reasons for these numbers and it will take all of us working together to make an impact. Often older adults give fewer warning signs of their intent to end their lives. The attempts are more planned and they use more lethal means reducing the likeliness if survival. The most common cause for elderly suicide is untreated depression. Depression is not a normal part of aging. Recognizing the signs and symptoms of depression is important so that it may be treated. Depression can be successfully treated at any age. Approximately one third of seniors 65 or older experience depression. A mental health issue such as depression, anxiety and certain personality disorders. Mental health disorders are present in nearly 80% of completed suicides. Chronic physical pain, an illness or functional impairment. Social isolation and decreased social support. Suicide among the elderly is a growing issue that needs to be addressed. Suicide is preventable! The National Suicide Prevention Lifeline is available at 1-800-273-8255. The hotline is staffed 24/7 with individuals trained to listen. The hotline also has a special line for Veterans so they can speak to another Veteran by calling that same number. Kellie Baker is the MiCAFE Outreach Coordinator at Elder Law of Michigan. She joined Elder Law in April 2014. Kellie received her Bachelor of Science in Psychology from Central Michigan University. Kellie comes to Elder Law with a background in coalition building, community collaboration and training. Prior to joining Elder Law, Kellie worked as the Prevention and Community Relations Manager at LifeWays, Community Mental Health in Jackson, Michigan where she advocated on behalf of individuals with substance use and mental health disorders. Kellie is a Certified Mental Health First Aid Trainer for the National Council for Behavioral Health and an Approved Instructor for Critical Incident Stress Management for the International Critical Incident Stress Foundation. Next Next post: Let’s talk about Farmers Markets! What are they and how do they address hunger?